CHOISIR (AUS) (Chestnut 1999-Stud 2003). 7 wins-3 at 2, VRC Lightning S., Gr.1. Sire of 1336 rnrs, 853 wnrs, 70 SW, inc. Olympic Glory (Longchamp Prix Jean-Luc Lagardere, Gr.1), Starspangledbanner, Obviously, Sacred Choice, Historian, Choice Bro, Japonisme, Kushadasi, Sir Moments, Dreamscape, Hurried Choice, Glory Awaits, Celtic Dancer, Stimulation, Chandlery, Champagne Harmony, Gold Water, Incumbent, Eloping, Big Money, Monsieur Joe, etc. Outraged (g. by Choisir). 4 wins. See below. Lynyrd Skynyrd (g. by Lonhro). Winner at 1000m, 3d BRC XXXX Gold Island P.
Ebony Belle (f. by Lonhro). Winner at 1300m in Philippines. Night Light (f. by Al Maher). Placed at 3 in Aust. LANKAN RUPEE (Redoute's Choice). Equal Head of the 2014 World Thoroughbred Rankings (Sprint). Horse of the Year & Champion Sprinter in Australia in 2013-14. 11 wins to 1200m, A$4,031,510, to 2014-15, ATC TJ Smith S., Gr.1, VRC Newmarket H., Gr.1, Lightning S., Gr.1, MRC Oakleigh P., Gr.1, MVRC Manikato S., Gr.1, MRC Rubiton S., Gr.2, Kevin Heffernan S., Gr.3, VRC Dilmah Earl Grey S., L, MRC KS Environmental P., MVRC Essendon Mazda 55 Second Challenge Heat H., 2d MVRC AJ Moir S., Gr.1, Ian McEwen S., Gr.2, VRC Living Legends H., 3d VRC Darley Classic, Gr.1, MRC Schillaci S., Gr.2, Blue Sapphire S., MVRC Essendon Mazda 55 Second Challenge H.
Hastein (Viking Ruler). 9 wins from 1200m to 2050m, A$204,760, SAJC Dominant H., Stellar Homes H., Yalumba H., Damien Grantham's 30th H., 2d SAJC Tokyo City Cup, L, Allan Scott Park Morphettville H., 3d SAJC The Dunes Port Hughes H.
Precious Time. 4 wins from 1200m to 2200m, Waikato RC Sapphire Property Group H., Marton JC Farmlands H., Te Aroha JC First Credit Union H., 3d Hawke's Bay Hunt & Seek Duchess of Cambridge H.
Point. 2 wins at 1650m, 1800m in 2014-15, 2d SCTC Hill Smith Family Vineyards H.
GROSVENOR (Sir Tristram). Second on The 1982-83 Australasian 3YO Classification (2100m+). Joint third on The 1981-82 Australasian 2YO Classification. 6 wins-3 at 2-from 900m to 2500m, A$465,350, Victoria Derby, Gr.1, VRC Sires' Produce S., Gr.1, VATC Caulfield Guineas, Gr.1, STC Gloaming S., Gr.2, Pago Pago S., Gr.3, VATC Balmoral S., L, 2d MVRC WS Cox P., Gr.1, AJC Spring Champion S., Gr.1, Sires' Produce S., Gr.1, VATC Debutant S., Gr.3, Blue Diamond Prelude, L, Pinjarra RC Millionaire Sires' S., L, 3d STC Golden Slipper S., Gr.1, Western Australian Derby, Gr.1, VATC Blue Diamond S., Gr.1. Successful sire. NATIONAL GALLERY (Sir Tristram). 3 wins-1 at 2-from 1200m to 2400m, A$176,800, Western Australian Derby, Gr.1, SAJC Morphettville P.H., L, VRC Exford H., 2d Victoria Derby, Gr.1, Geelong RC Derby Trial S., L, 3d Moonee Valley S., Gr.2.Died at 3. KYRIE ELEISON (Sir Tristram). 3 wins from 1600m to 2000m, NZ$85,475, Manawatu Breeders' S., Gr.3, 2d Great Northern Oaks, Gr.2, ARC Royal S., Gr.2, Matamata RC Tidal Light H., 4th Counties Cup, L.
GARFUNKEL (Sir Tristram). 3 wins from 2000m to 2400m, STC Parramatta Cup, L, AJC Mulgoa H., Father and Son H., 2d AJC Anniversary H., L, Handicap, 3d AJC Handicap, 4th AJC Summer Cup, Gr.3. Sire. DE LISLE (Sir Tristram). 4 wins from 1550m to 2400m, A$118,140, STC WJ McKell Cup, L, Paddy's Markets Welter H., AJC Gallopers Club H., STC Brian Nicholson H., 2d Clarence River JC Grafton Cup, L.
BON CHER (Sir Tristram). 4 wins from 2000m to 2200m, CJC Warstep S., L, South Island 3YO Championship S., L, 2d South Australian Oaks, Gr.1. Producer. TYPHOON BILLIE (Rory's Jester). 7 wins to 1400m, A$201,600, VATC Mannerism S., Gr.3, Hyderabad Race Club S., L, MVRC Kokos & Paulene Maree H., VATC Helenslea H. Producer. OVIDIO (Danehill Dancer). 5 wins from 1800m to 2400m, R347,825, to 2015-16, Kenilworth Woolavington H., L, 3d Kenilworth Cup, L.
Ana Zeel (Zabeel). 3 wins. See above. Imperial Lass (Tavistock). 3 wins from 1500m to 2050m, A$177,590, to 2015-16, MVRC Jeep H., 3d BRC Queensland Oaks, Gr.1, MRC Ethereal S., L, Werribee Cup, L.
Joy's Choice (Redoute's Choice). 2 wins at 1600m, Waikato RC Ready to Run Sale H., 2d ARC Sunline Vase, L, Trevor Eagle Memorial 3YO H., 3d ARC Royal S., Gr.2. Napa Sky (Stravinsky). 3 wins-1 at 2-at 1000m, A$106,540, MRC Perfect Bliss H., MVRC Tony McEvoy H., 2d STC Research S., Gr.3, 4th MRC Boronia S., L. Producer. WEREGOINGTOGETCHA (Testa Rossa). 5 wins-1 at 2-from 1200m to 2300m, NZ$197,000, to 2015-16, Manawatu Cup, Gr.3, Manawatu RC Ecolab H., Rich Hill Stud 3YO S., 2d ARC Zabeel Classic, Gr.1, Levin RC Ryder S., L, 3d Waikato Guineas, Gr.2. TAVAGO (Tavistock). 2 wins at 1600m in 2015-16, Levin RC Wellington S., Gr.3. MAHAYA (Sir Tristram). Joint third top filly on The 1992-93 Australasian 3YO Classification. 5 wins-1 at 2-from 1350m to 2400m, A$599,340, AJC Oaks, Gr.1, AJC Craven P., L, Geelong RC Oaks Trial S., L, AJC De Bortoli H., STC Free Day H., 2d VRC Oaks, Gr.1, 3d STC Ranvet S., Gr.1, Tea Rose S., Gr.2, 4th STC BMW S., Gr.1, AJC Light Fingers S., Gr.3. Producer. LONHRO (Octagonal). Horse of the Year in Australia in 2003-04. Champion 3YO in Australia in 2001-02 & Joint top of the 2004 World Rankings (mile). Top of the 2001-02 Australasian 3YO Classification (middle). 26 wins-2 at 2-from 1100m to 2000m, A$5,790,510, VRC Australian Cup, Gr.1, AJC Chipping Norton S., Gr.1, Queen Elizabeth S., Gr.1, George Main S., Gr.1, VRC LKS Mackinnon S., Gr.1, MRC CF Orr S., Gr.1, Yalumba S., Gr.1-twice, STC George Ryder S., Gr.1-twice, VATC Caulfield Guineas, Gr.1, AJC Royal Sovereign S., Gr.2, Hobartville S., Gr.2, Expressway S., Gr.2, 2d AJC Queen Elizabeth S., Gr.1, 3d MVRC WS Cox P., Gr.1. Champion sire. NIELLO (Octagonal). 4 wins-1 at 2-from 1100m to 2000m, A$977,370, AJC Spring Champion S., Gr.1, STC Canterbury Guineas, Gr.1, Rosehill Guineas, Gr.1, AJC Kindergarten S., Gr.3, 2d Newcastle JC Spring S., Gr.3, AJC Maurice Lacroix Tomorrows Classic 2YO H., 3d AJC Warwick S., Gr.2, NSW Tatt's RC Chelmsford S., Gr.2, STC Todman Slipper Trial S., Gr.2, 4th AJC Hobartville S., Gr.2, STC Premiere S., Gr.2. Sire. SHANNARA (Octagonal). 4 wins to 1500m, A$423,580, Hawkesbury RC Ladies Day Cup, L, Scone RC Dark Jewel Classic, L, 2d AJC Angst S., L, 3d ATC Emancipation S., Gr.2. ALBRECHT (Redoute's Choice). 2 wins-1 at 2-at 1250m, 1300m, A$442,350, ATC Up and Coming S., Gr.3, 2d ATC Golden Rose S., Gr.1, Stan Fox S., Gr.2, Southern Cross S., Gr.3, 3d BRC Victory S., Gr.2, VRC Bobbie Lewis H., Gr.3. DIAMOND DECK (Octagonal). Winner at 1200m, Hawke's Bay Highview S., Gr.3, 2d QTC Sires' Produce S., Gr.2, Avondale JC 2YO Fillies' S., L, 3d BTC Champagne Classic, Gr.2. Producer. ZURELLA (Zabeel). 5 wins from 1400m to 2000m, NZ$268,625, A$166,500, VRC Let's Elope S., Gr.2, Waikato RC Sir Tristram Fillies Classic, Gr.2, Manawatu RC Eulogy S., Gr.3, Waikato RC Hauraki 96.2 FM H., 2d New Zealand Oaks, Gr.1, Waikato RC Cal Isuzu S., Gr.2, WRC Cuddle S., Gr.3, 3d Waikato Draught Sprint, Gr.1, 4th Waikato RC Herbie Dyke S., Gr.1, WRC Thorndon Mile, Gr.1. KING LIONHEART (Al Maher). 6 wins from 1350m to 2200m, A$320,930, ATC Shannon S., Gr.2, Alconex Fire H., Triple M Grill Team H., STC Slipper on Sale H., 2d AJC Dover Heights H., ATC Vaby's Mediterranean Grill H., STC TAB Number 1 Club H., 3d ATC Villiers S., Gr.2, 4th ATC Tattersalls Club Cup, L, Gosford Cup, L.
REQUIEM (Danehill). 4 wins from 1600m to 2500m, A$273,255, VRC Saab H., Gr.2, MRC Maple H., SAJC Blackwell Funerals H., 2d MRC Herbert Power S., Gr.2, Geelong Cup, Gr.3, 3d VRC Colourplus Printing H., SAJC Peace Command H. Sire. CAYAMBE (Danehill). 3 wins-1 at 2-from 1050m to 1600m, A$407,300, MRC Sandown Guineas, Gr.2, SAJC Balcrest S., L, VRC Northland P., 2d MRC Boronia S., L, 3d VRC Thoroughbred Breeders S., Gr.3, MRC Thomas North 2YO Fillies P., 4th VRC Edward Manifold S., Gr.2, SAJC Breeders' S., Gr.2, MRC Quezette S., L.
DR WELL (Danehill). 8 wins from 1650m to 2400m, HK$6,821,812, HKJC Queen Mother Memorial Cup, HK-3, Shouson Hill H., Tin Lok H., Chevalier Construction H.
MISS KEEPSAKE (Keeper). Third on 2009-10 NZ 3YO Free H (1601+m). 5 wins from 1300m to 2400m, NZ$7,600, A$522,900, Queensland Oaks, Gr.1, Illawarra TC AJ Lillye Memorial H., 2d ATC Queen of the Turf S., Gr.1, Aspiration H., L, Wests Ashfield Leagues Club H., 3d Queensland Derby, Gr.1, ATC Bill Ritchie H., Gr.3, Gosford RC Belle of the Turf S., L, 4th ATC Villiers S., Gr.2, Angst S., L.
VILLIFYE (O'Reilly). 4 wins from 1200m to 1600m, NZ$115,476, BOP RC Japan-New Zealand International Trophy, Gr.2, Waikato RC Ebony Grosve, Counties RC New Zealand Bloodstock Insurance H., 2d Waikato RC Pathways to Immigration H., 3d ARC Rich Hill Mile H., Gr.2, Rotorua P., L, 4th Cambridge JC Travis S., Gr.2, WRC Anniversary H., L.
Race Record: 23 Starts 4-6-1 A$84,200. 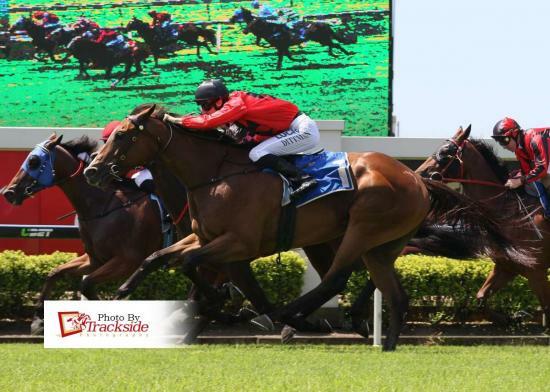 4 wins from 1200m to 1800m, A$84,200, to 2015-16, Ipswich TC Brisbane Airport Short Fare H., Sirromet H., Sky Racing H., SCTC Caloundra Chamber of Commerce P., 2d BRC Garrards Horse & Hound P., SCTC Wimmers Soft Drinks H.